In 2009 – the Colorado Supreme Court issues its ruling in People v. Clayton. The rule was stated in that decision – clearly – if a waiver of Miranda is knowing, intelligent, and voluntary, then it is then valid. The relevant facts are that Clayton was advised on the way to the station of his Miranda rights after he had been arrested. He waived those rights – blurted out a statement not in response to a questions and was asked to wait until they all arrived at the police station before making his statement. At the station, Clayton met Detective Losasso, who again advised him again of his rights, reading them from the standard Miranda warnings form used by most police officers. Clayton then chose to sign the waiver and told his side of the story – essentially incriminating himself in the felony charge. While he claimed self defense – his version was not believed by the jury and he was convicted. Colorado Miranda Rights Law – What Is An Adequate Advisement of Your Miranda Rights? 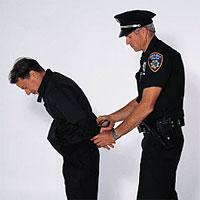 When Is A Waiver Of Your Miranda Rights Involuntary and the Product of Police or Other Government Coercion? Second, the judge must determine whether the defendant knowingly, validly, and voluntarily waived these rights. Important Point – The police who are doing the questioning have no obligation to inform a suspect of the possible subjects of an interrogation or the facts and circumstances which may be pertinent to his or her decision to talk to police. A waiver of Miranda rights resulting in a confession or inculpatory statement is considered to be involuntary only if coercive governmental conduct, whether physical or psychological, played a significant role in inducing the defendant to make the confession or statement. A suspects decision is not involuntary because it is unwise, or may prove unwise in hindsight. What About The Phone Call? While Colorado law CRS Section 16-3-402 creates a statutory right to call one’s family at the earliest possible time after an arrest, that rule is NOT constitutional. A violation of that rule does not create the right to have evidence suppressed as would certain constitutional violations – such as a Miranda violation. A waiver need only be knowing, intelligent, and voluntary, – if it is – it is valid. Even if Clayton was denied his right to a phone call – that is not the kind of police conduct that would render his waiver involuntary. The “social pressure to cooperate with police” is not the kind of coercion that violates the Miranda rule. Finally – the extreme nature of the suppression of evidence is not within the judge’s power to punish the one phone call rule.